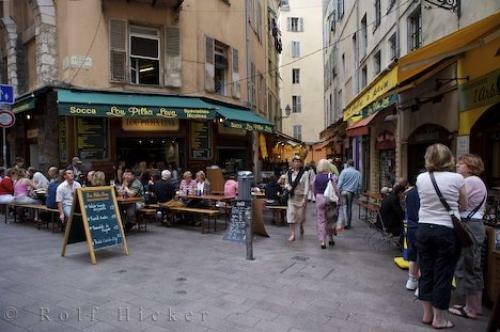 The Old Town of Nice is made up of a network of narrow lanes, and pedestrian alleys. Narrow lanes and shops in Old Town, Nice, Provence, Cote d'Azur, France, Europe. Photo of a typical scene in Old Town Nice, Provence, France.